“Alaskan Adventure” water feature sculpture is a tribute to Suzanne and Walter Scott for their extraordinary leadership with the Omaha Zoological Society and Omaha Zoo Foundation. 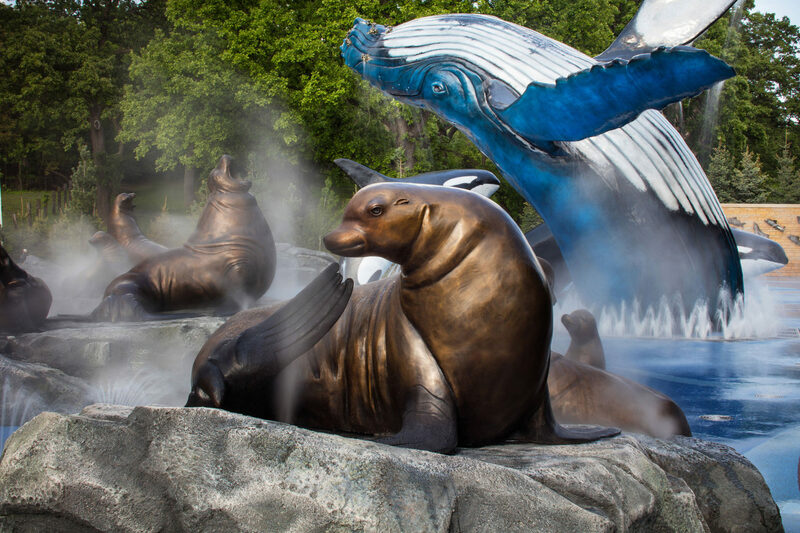 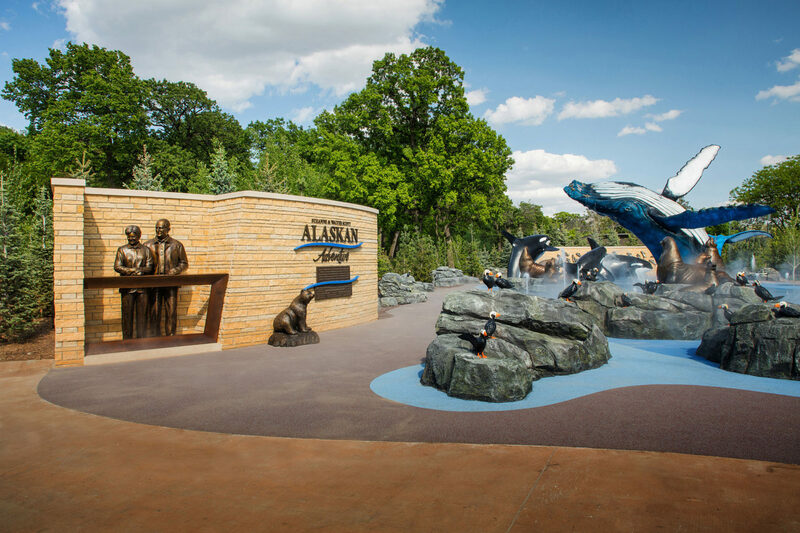 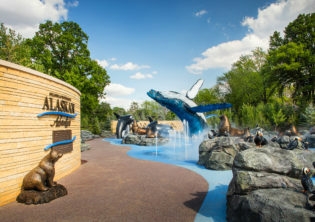 The “Alaskan Adventure” water feature sculpture was recently unveiled at Omaha’s Henry Doorly Zoo and Aquarium. 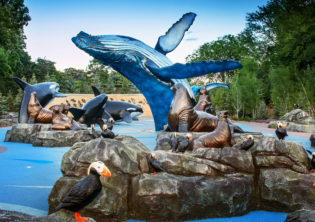 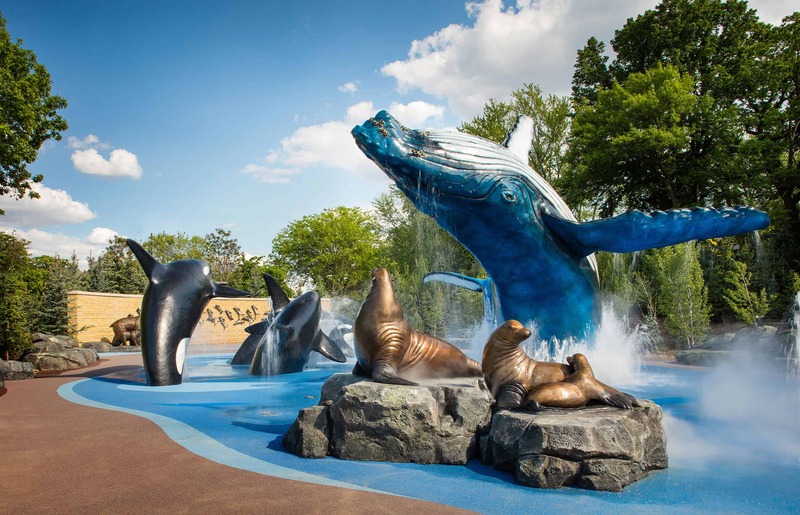 This 18,625-square-foot splash park water feature sculpture is an incredible addition to one of the country’s most prominent zoos. 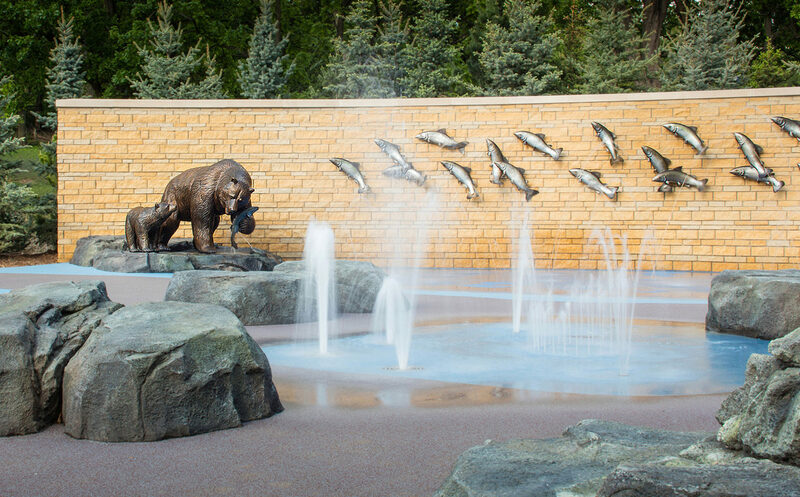 This area offers visitors not just cool refuge from the hot summer, but a glimpse at the wildlife found in our 49th state. 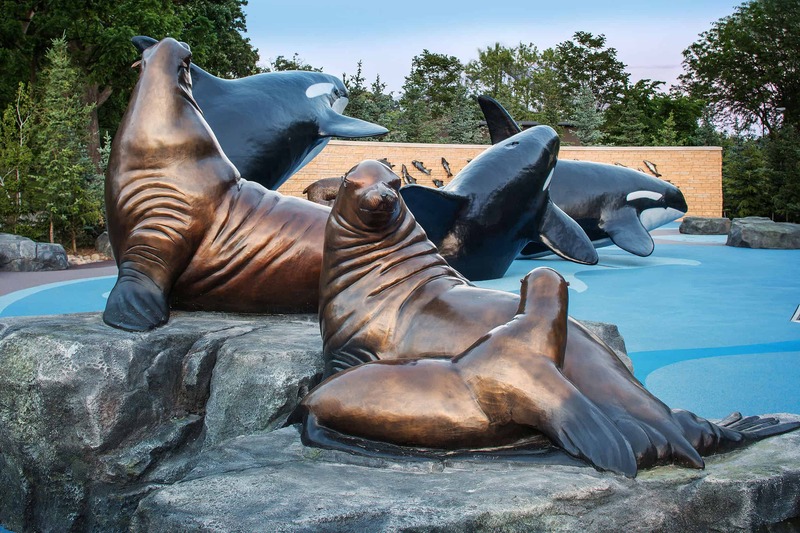 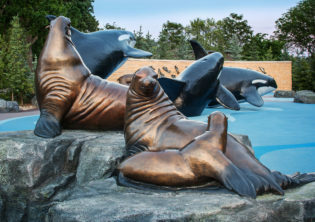 The vast area features 80 sculptures, including 30 jumping salmon, 25 puffins, 15 sea lions lounging on rocks, brown bears, plus trios of orcas porpoising. 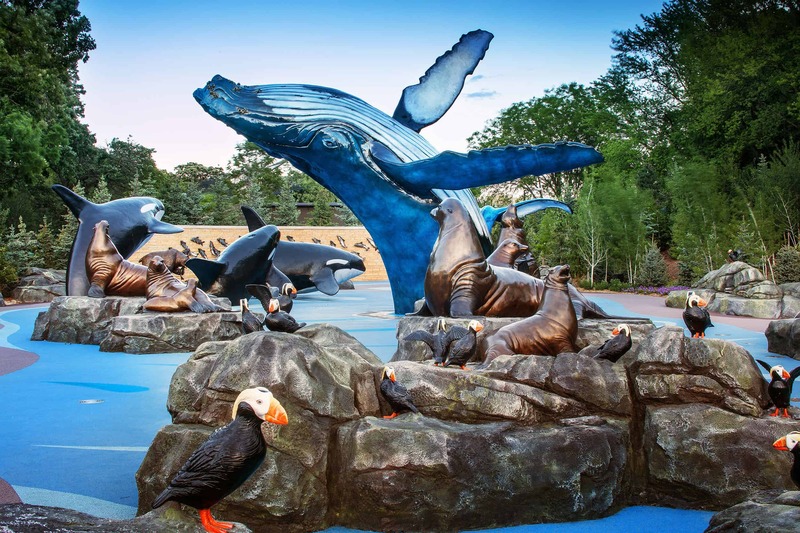 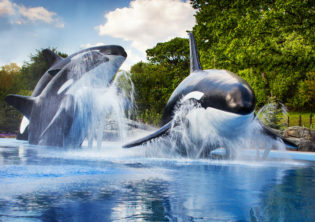 “Alaskan Adventure’s” centerpiece is a magnificent 25-foot-tall humpback whale, created from 187 separate pieces of bronze welded together with a stainless-steel internal structure. 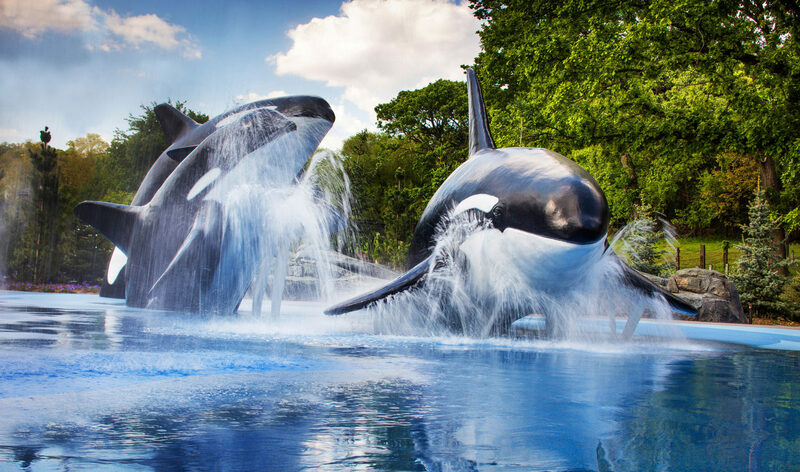 Weighing in at 15,000 pounds, the whale houses 30 different intricately woven water lines. 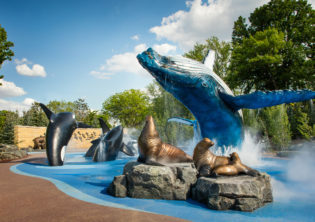 Water volume for the entire park is 2,500 gallons per minute. 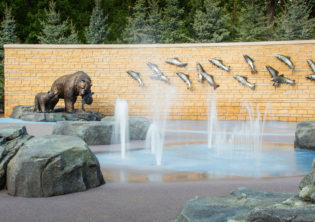 A remarkable artistic achievement, it is beloved by all ages and will be a favorite destination for generations to come.